There are markets that are better than others. The choice of a market for the software products that you will develop, may be the difference between a successful product and one without much future. 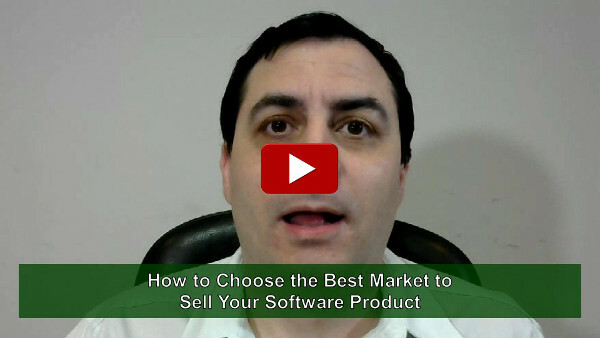 Watch this video to learn how to determine which market you should prefer to have a more viable software product business. Everybody wants to work on the software products of their dreams. That is nice but often the product of their dreams is for a market that does not pay very well. Therefore sometimes it is better to adjust your dreams to the reality and work on a different software product for market that you may also like. This video talks about markets that are better than others. For instance software products for lay people, I mean people that do not understand about software development, are often better than software products for developers. In the video, an explanation is presented for this fact, so it helps you to either change your initial software product ideas, or even change your target market, so you software product business has more chances of being successful.